Good morning! I told you I’d get #9 finished this week so we’d be completely caught up on this. If things go well, I am going to try and post #10, 11 and 12 this coming Monday/Tuesday. 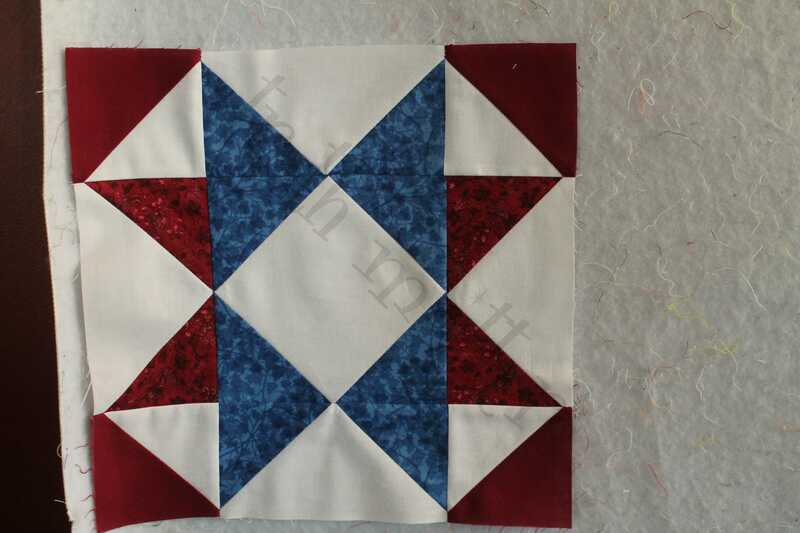 That way, we have just over a month to get it quilted in time for the 4th of July! Draw diagonal lines on (4) Red #1 3 1/2″ x 3 1/2″ and (2) White 3 7/8″ x 3 7/8″ and (4) Blue 3 1/2″ x 3 1/2″. 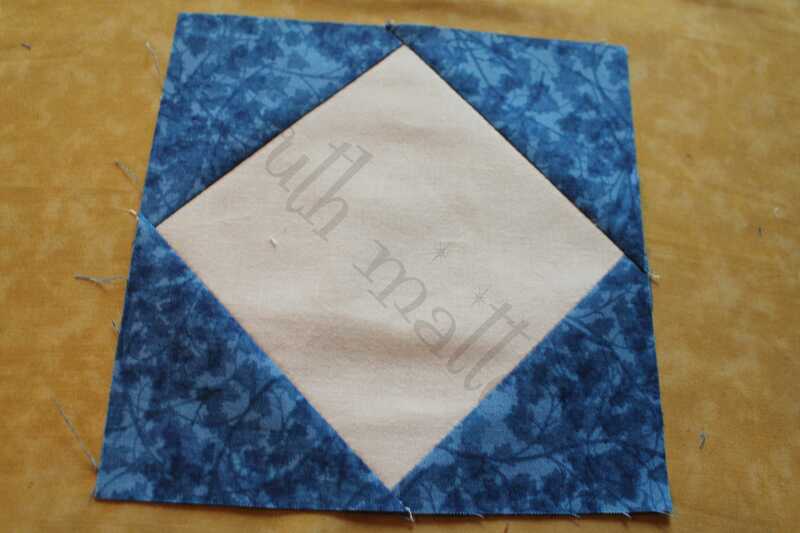 Create (2) Blue/White Flying Geese using (2) Blue 3 1/2″ x 3 1/2″ and (1) White 6 1/2″ x 3 1/2″. 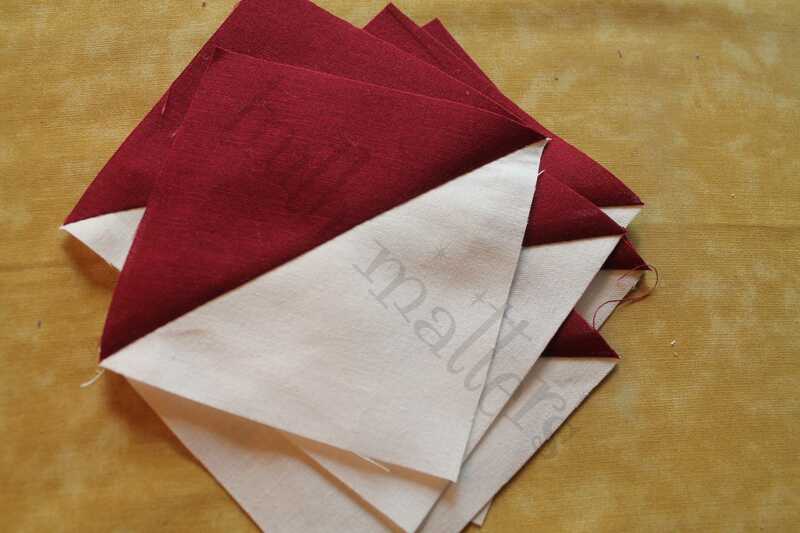 Create (2) Red #1/White Flying Geese using (2) Red #1 3 1/2″ x 3 1/2″ and (1) White 6 1/2″ x 3 1/2″. 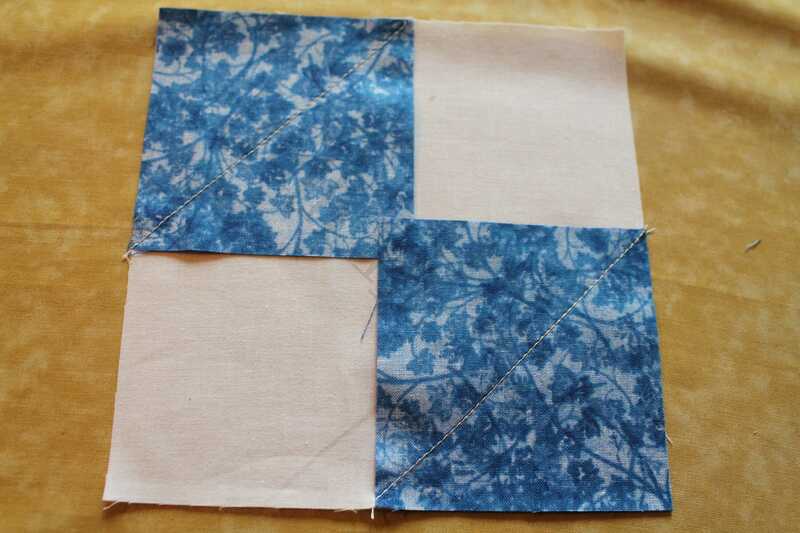 Create (1) Blue/White unit using (4) Blue 3 1/2″ x 3 1/2″ and (1) White 6 1/2″ x 6 1/2″. I did this by starting on two corners, trimming, ironing open flat and then doing the opposite corners. Looks nice, neat and pretty when done. Assemble as shown. The Red #1/White Flying Geese will be on the left and right sides, the Blue/White Flying Geese will be on the top and bottom. 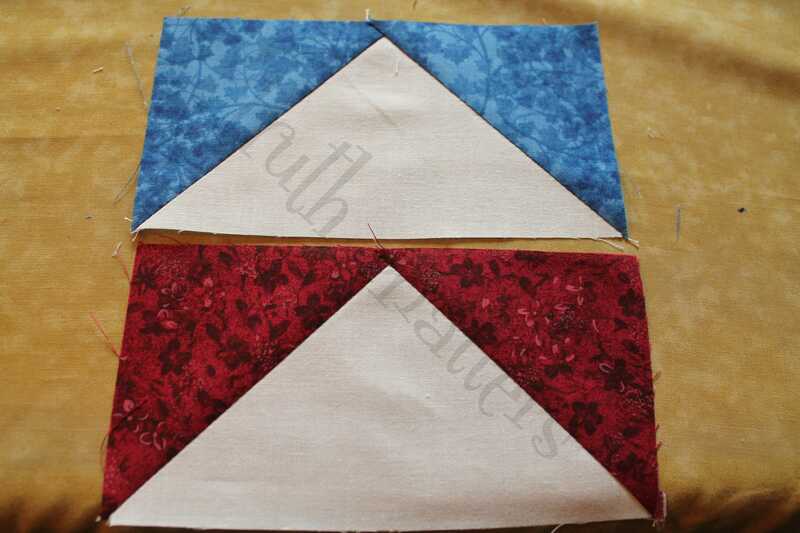 The Red #2 pieces will be pointed OUT on the four corners. Enjoy! See you on Monday or Tuesday! Remember, it is a holiday weekend! Have fun!